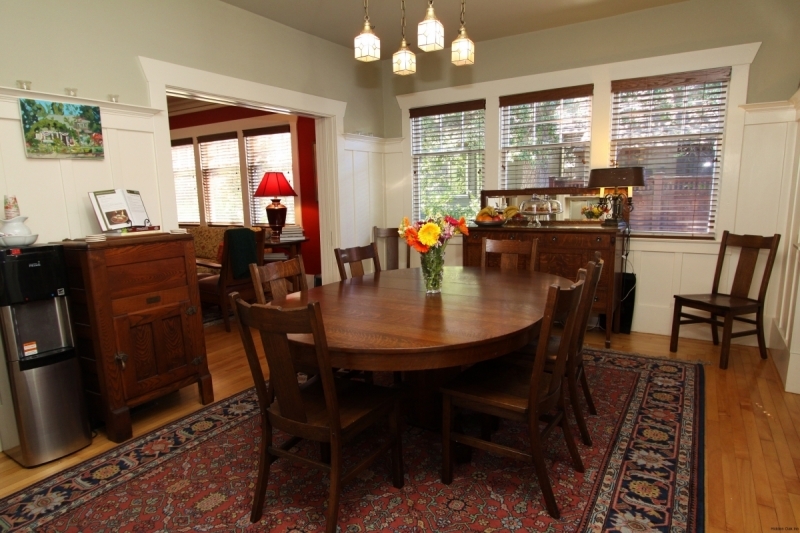 A touch of old Sonoma … Experience the warmth of this country home in the delightful town of Sonoma. The casual elegance of this historic bed and breakfast reflects a time of serenity and beauty. The innkeepers have tried to preserve the past and added many antiques and collectibles throughout the Inn. The spacious rooms provide a restful interlude for two after a day of wine tasting or exploring the town. Romance abounds while reading by the cozy fireplace in the parlor, enjoying the mild Sonoma climate on the front porch, or sharing a glass of wine by the pool. 45 minutes N of the Golden Gate Bridge:Follow Hwy. 101 north – Exit Hwy. 37 east toward Napa/Vallejo -Turn left onto Hwy. 121 north (Infineon Raceway) -Turn right at 3-way stop (“Y” merge of Hwy. 116/121) – Turn left onto Hwy. 12 and continue to Sonoma – when you stop in front of City Hall, you’ve reached “The Plaza” – turn right onto East Napa Street. 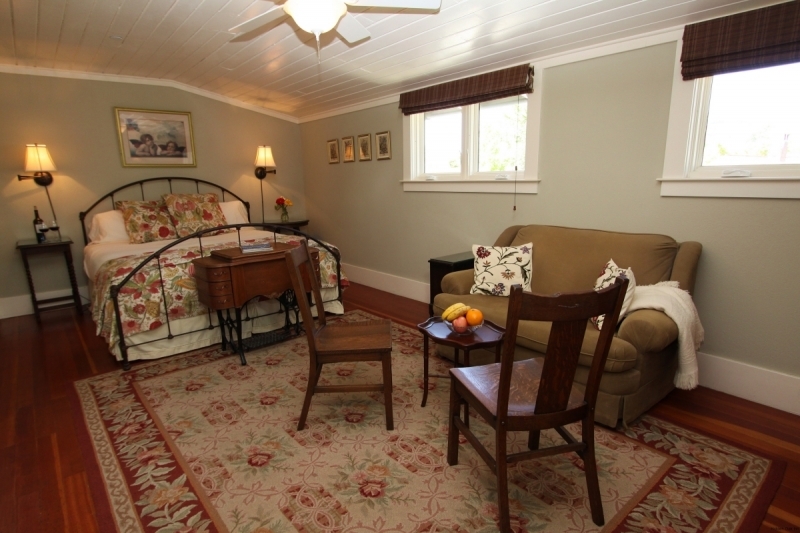 Three guest rooms grace this inn … special attention to detail is evident throughout each room. The rooms are individually named for their beautifully furnished décor. The comfortable, stylish and spacious rooms include a private bath (tub with shower), ceiling fans and central air-conditioning, radio/CD player/alarm clock, luxurious bathrobes, hair dryer, glycerin soap, shampoo, conditioner & lotion. All guestrooms are located up one flight of stairs and have free Wi-Fi. Room rate includes breakfast plus afternoon wine and cheese. Expanded Continental Breakfast Bar Daily. Wine and Cheese tasting at 5pm. For Dinner, walk to 20+ restaurants on Sonoma Plaza or venture out to Glen Ellen, Kenwood or Napa (reservations suggested on weekends and high season). Passes to health club & pool. “We had a wonderful stay at Hidden Oak Inn. The house is beautiful with a nice cozy porch to sit on. Great backyard with comfortable seating and a pool. The Rooms are large and quite comfortable. Breakfast was different every day and delicious. Valarie was very friendly and helpful. It is also very convenient to the square. We would definitely choose to stay there again." Cute spot in central location. A touch of old Sonoma. Experience the warmth of this country home in historic Sonoma.